"Dawn Swick from Stoney Creek Social Media has taken Camo Creek Hydrographics from an audience of less that 50 to one that is well over 600 and growing by leaps and bounds every day. She is very personable, understands what content to post and is always right on top of any situation that arises with your online presence. She has taken the time to get to know my business and even my personality to keep CCH's page tailored to me." I can't thank you enough for giving my facebook page, Dr. Maureen Gierucki, such an outstanding online presence!! My likes have gone up over 60% just in the last month alone! I have developed quite a following thanks to you and I am truly enjoying the benefits provided by your service. Looking forward to an even more successful 2013 thanks to Stoney Creek Social Media. Merry Christmas and God Bless!" "As I read your email this morning I got a little choked up. We never know exactly how many lives we touch while we are here on earth. It amazes me as I look back at the number of followers CCIM Facebook had, and the roll you played with social media to make it happen. I would be happy to write a testimonial for Stoney Creek Social Media. As I reflect on the past year we have been using your services, I have realized that Facebook and social media is like a giant quilt. Each piece of fabric or "patch" represents an individual's life and the stitching that holds the patchwork together or connects us is what you do at Stoney Creek Social Media. Facebook is like "stories from the quilt", and Dawn you are the common thread. Thanks for the wonderful epiphany." "Dawn does a wonderful job building online presences. She takes the time to understand your business in order to help get your message out. 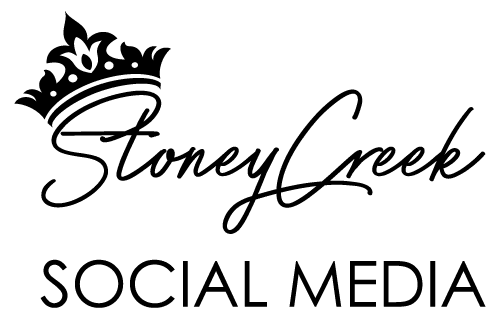 Stoney Creek Social Media is a wonderful partner for any business looking to build a online reputation. Thanks for all your help." "Dawn and her team are very knowledgeable and helpful on the Facebook network, I seen immediate results and would highly recommend Dawn and her team to help grow your social media! If there were problems I could not figure out she mastered them most generally the same day. Thank you Dawn and your team at Stoney Creek Social Media." "Dawn Is AMAZING. One phone call enhanced my entire social media strategy and I'm not looking back BOOM. THANK YOU Dawn!!!!! FIVE STARS"
"I wasn’t totally sure how social media could benefit my business and I did not really understand Face Book. By working with Dawn and Stoney Creek Social Media, we have developed and implemented specific strategies that are benefiting my company over the longer term. I was worried that I would not be able to keep up with the work and the media changes, however, the best part of working with Dawn has been the support. I would recommend Dawn because it has helped me focus more on my goals and enjoy having her on my team!" "Dawn Swick-Renshaw rocks social media! For the past 2 years, Dawn of Stoney Creek Social Media has provided Facebook social media services for Your Life Unplugged. She was the mastermind behind most every post and created them, too. This year, my virtual assistant also created posts before Dawn took over. She commented that the engagement and reach of Dawn's posts were up about 1000% over our posts (yes, 1000, that's not a typo) as soon as Dawn took over. I can track several registrations directly to the Facebook campaign she managed. If you have the chance to hire Dawn for your business, I whole-heartedly recommend you do so. If you have any questions, please feel free to call me (269) 978-8386." "Dawn Swick and Stoney Creek have made my world a better place! Dawn took over my social media last year and it's allowed me to do what I do best! One of the things I love is that her posts are tailored to my business style and sense of humor. Nothing is better than waking up to notifications on my social channels of likes & comments on a post created by Stoney Creek - it's magic! Dawn is also incredibly easy to work with - very responsive and always up to date on everything in social media. So glad she's on my team!" "Easy to work with. Dawn takes the time to understand what you want out of your social media. She treats your company like her own. Thank you! "Great people - they have helped my business more than any other advertising we have done. I would highly recommend them to help grow your business!!!"